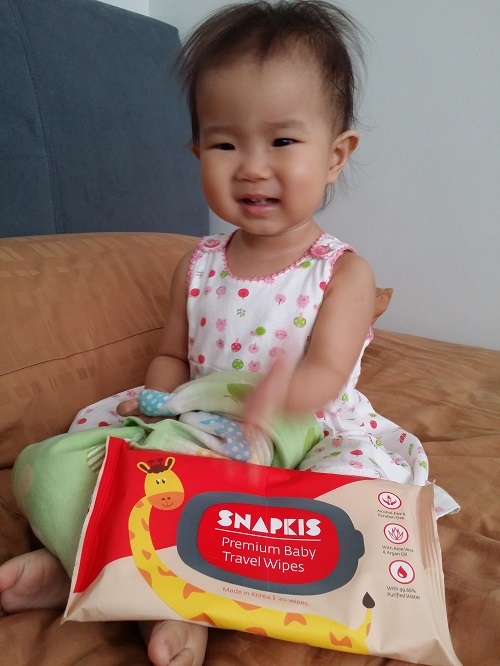 "You don't know how beautiful you are…"
I received a pack of Snapkis Premium Baby Travel Wipes in the November 2015 Babies 1st Birthday Bash goodie bag. Meant to do this review way back but never got round to it. 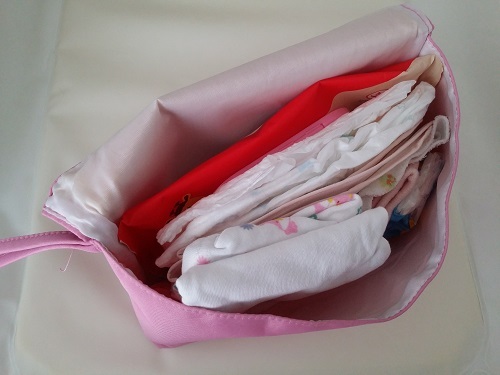 The Snapkis wet wipes packet fit perfectly into the diaper clutch! 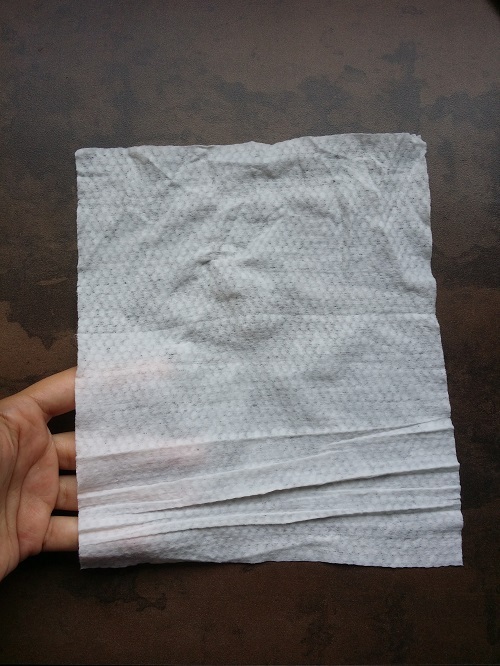 Each sheet is of good size, wetness and thickness. Each sheet is 180mm x 200mm in size and about 5mm in thickness. The wipes are alcohol and paraben free, perfectly safe for baby’s skin. They also come in a honeycomb embossed design which is soft in texture. 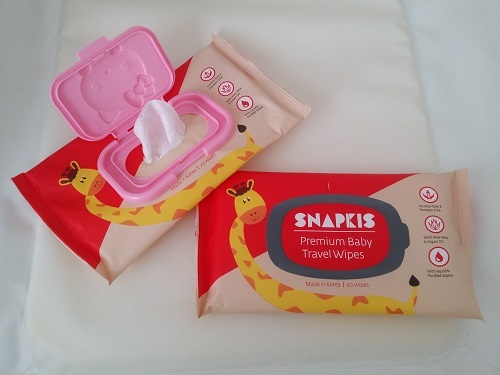 You can find the Snapkis wet wipes at Mothercare or Kiddy Palace. A packet of 20 wipes is sold at $2.90. PS: Photos were taken some time ago. I have since changed my diaper clutch to Ju.Ju.Be’s Be Quick. The packet of wipes still fits perfectly. My name is Elisia. When I see new and colourful things, I get all *kira kira*. 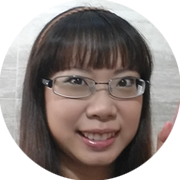 I'm all too happy to try out new products in return for my honest reviews. Note: All personal photos shared on this site may not be used or reproduced in any form without permission. If you want something, ask. I do not bite.